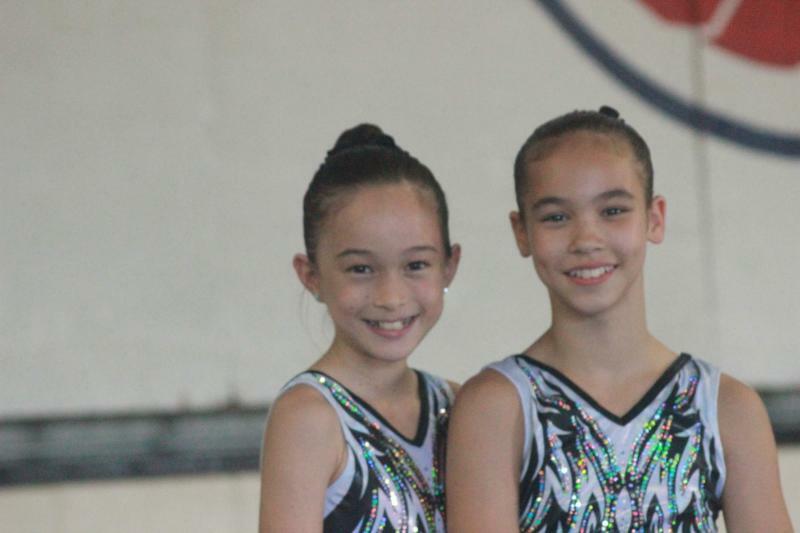 Competitive gymnastics is fun, challenging, and rewarding. Team membership is an earned position. A position that is acquired through testing and evaluation of not only gymnastics skills but attitude and motivation too. 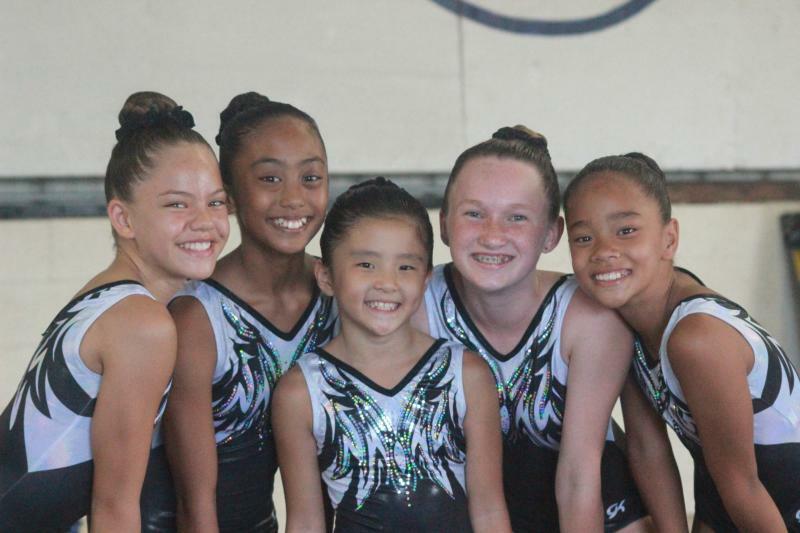 Once a gymnast has been invited into the team program, those same attributes that gained her team membership must be maintained and hopefully increased. We at Pantheon recognize motivation and ambition and have made it our job to help each student determine realistic goals and to reach them in the safest and most productive manner. 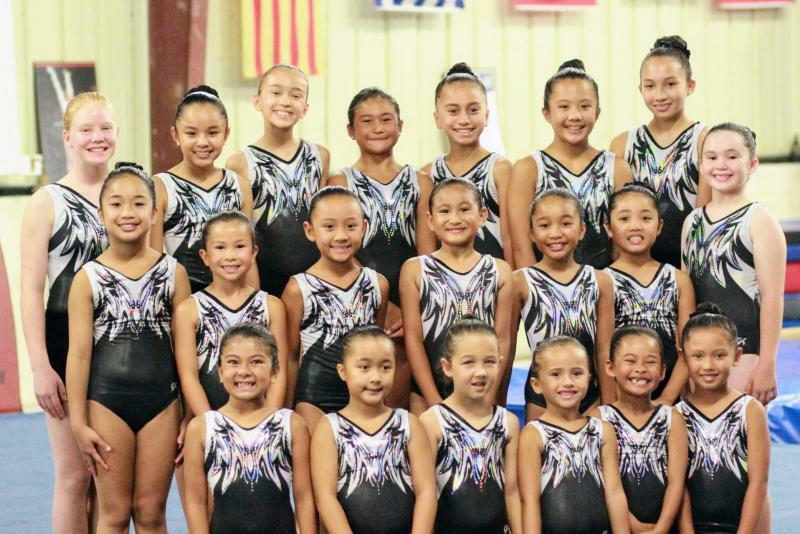 Founded in 1972 , Hilo Gymnastics Club started the sport of gymnastics in Hilo, Hawaii. Established as a non-profit organization in 1979, this parent based club organizes fundraisers to help support the travel fund of the Pantheon competitive teams. 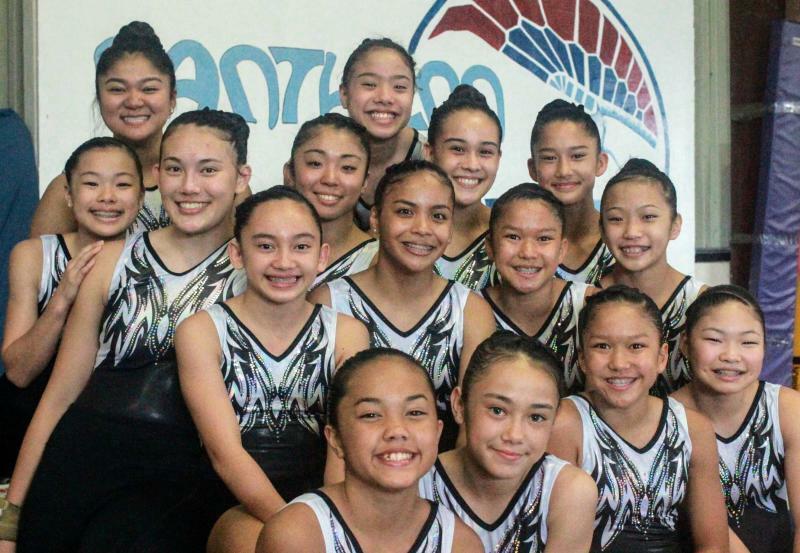 A sponsorship program has been developed to aid in travel expenses for the athletes to travel to competitions throughout Hawaii and the United States. Contact us to become a sponsor of our competitive teams. These team athletes train long and hard to prepare themselves for competition at local, state, regional, and national levels. Some of our top athletes have participated in international competitions. Copyright 2010 Pantheon School of Gymnastics. All rights reserved.